Part I of our preview series introduced the three newly promoted sides and took a look ahead to Anzhi Makhachkala’s season. In our second part of the series, we preview Akhmat Grozny, Rubin Kazan, Rostov, and Ural. In part III we introduced Dinamo Moscow, Arsenal Tula, Ufa, and Zenit. 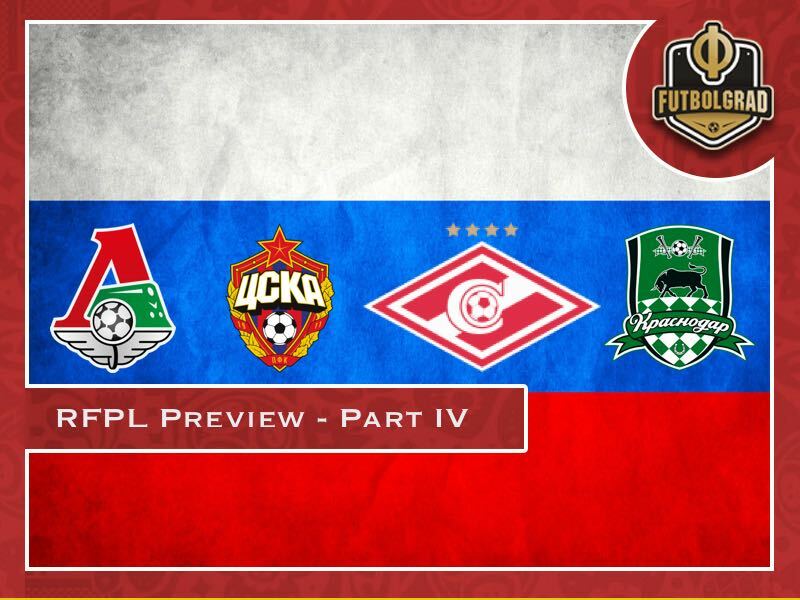 Now in our final preview, we will look at Krasnodar, Spartak, CSKA, and champions Lokomotiv. Krasnodar continue to be the most consistent side in Russian football. Once again finishing in the top five Krasnodar, however, have failed once again to make that final step towards Champions League qualification. Without star striker Fedor Smolov at the beginning of the season, the Bulls were not consistent enough to break into the top three and achieve Champions League qualification – missing out on third place by a meager two points. A slow start and inconsistent results meant the end of head coach Igor Shalimov in April 2018. In his stead, the club appointed Murad Musaev. The 34-year-old managed to turn results around picking up 13 of 18 possible points in the last six games of the season steering Krasnodar comfortably into a Europa League spot. Much will depend on the future of star striker Fedor Smolov. Smolov has long been understood to leave the club this summer. But the striker had a disappointing World Cup where Artem Dzyuba replaced him in the starting eleven of the Sbornaya. As a result, his stock has fallen among European clubs, and he could, therefore, be forced to remain at Krasnodar. Other players to watch include the 19-year-old teenager Ivan Ignatyev, who could be given a prominent role as the number one striker should Smolov leave the club after all. With the club no longer under the watchful eyes of UEFA Financial Fair Play Krasnodar were able to make some significant investments this summer. The club signed Peruvian midfielder Christian Cueva from FC São Paulo, Serbian defender Uros Spajić from RSC Anderlecht and midfielder Dmitri Stotskiy from league competitors Ufa. Long-serving centre-back Andreas Granqvist, in the meantime, has left the club – he has returned home to play for Helsingborgs IF -, as has Joãozinho, who has joined Dinamo Moscow. Like it is the case with many Russian clubs, expect more investments throughout August. Krasnodar have been busy this summer and the arrival of World Cup star Christian Cueva has been greeted with excitement. Krasnodar will once again compete for a Champions League spot. Spartak Moscow were unable to defend their title. 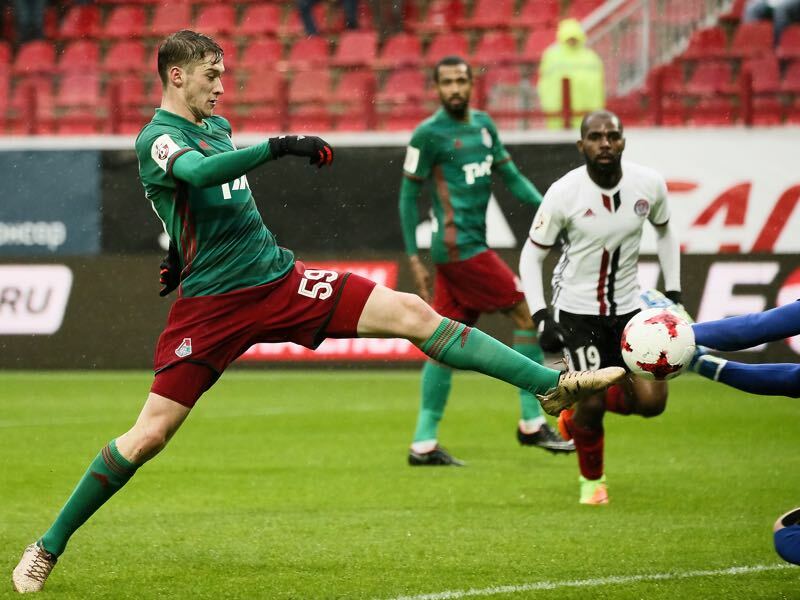 But a third-place finish and the club hanging on to successful head coach Massimo Carrera suggests that some form of consistency has arrived at Russia’s largest club. Perhaps the biggest disappointment of the season was no the third-place finish in the league but the club throwing away a chance of winning a title after going out against Tosno in the semifinal of the Russian Cup. Italian Massimo Carrera will go into his second full season at Spartak. The Italian won Spartak a first league title in 16 years at the end of the 2016/17 season. Last season Spartak, however, failed to defend the title but owner Leonid Fedun stuck to Carrera, who will have used up some of his credit, however. Spartak are Russia’s biggest club and the fans will not be patient when it comes to waiting for further titles. Quincy Promes remains Spartak’s key player. Unlike last year, there has been no rumours this season that the Dutch winger could be on his way out. 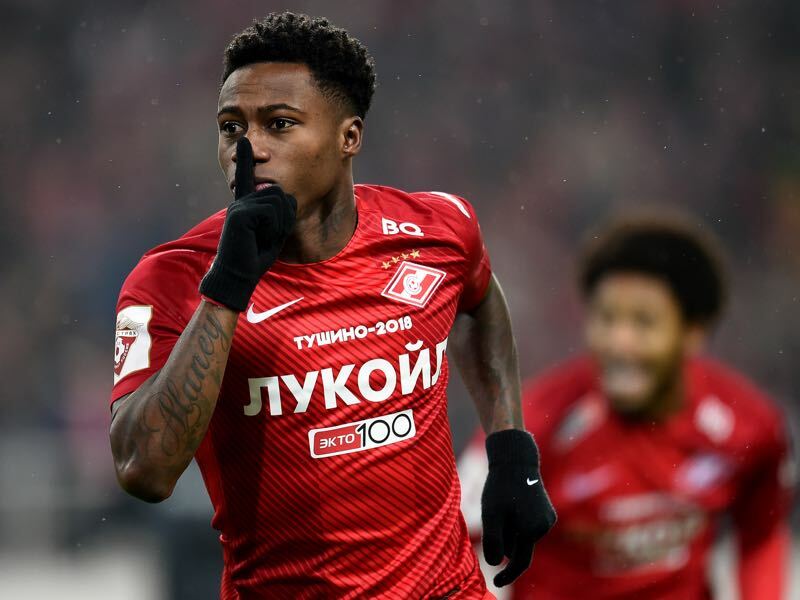 The 26-year-old is without a doubt Spartak’s biggest star and perhaps the biggest attraction in the Russian Football Premier League. Spartak addressed short-comings in the back by signing French centre-back Samuel Gigot for €8 million from KAA Gent. The club also signed left-midfielder Aleksandr Tashaev from city-rivals Dinamo Moscow. Spartak will be among the teams to fight for the title. Despite financial problems, CSKA Moscow were able to once again qualify for the UEFA Champions League by finishing second behind champions Lokomotiv in the Russian Premier League. In fact, last season was supposed to be a transitional year for the six-time Russian champion and qualification for the Champions League group stage can be noted down as a big success that will bring in necessary funds to rebuild the club. Viktor Goncharenko is among the most talented coaches in the post-Soviet space. The 41-year-old became famous when he oversaw BATE Borisov’s shock victory over Bayern München in the 2012/13 Champions League season. A tactical genius Goncharenko has perfected the 3-4-2-1 system and is slowly but surely integrating young players from CSKA’s hugely productive youth academy. Much will depend on the future of midfielder Aleksandr Golovin, who is linked with a move to Monaco. 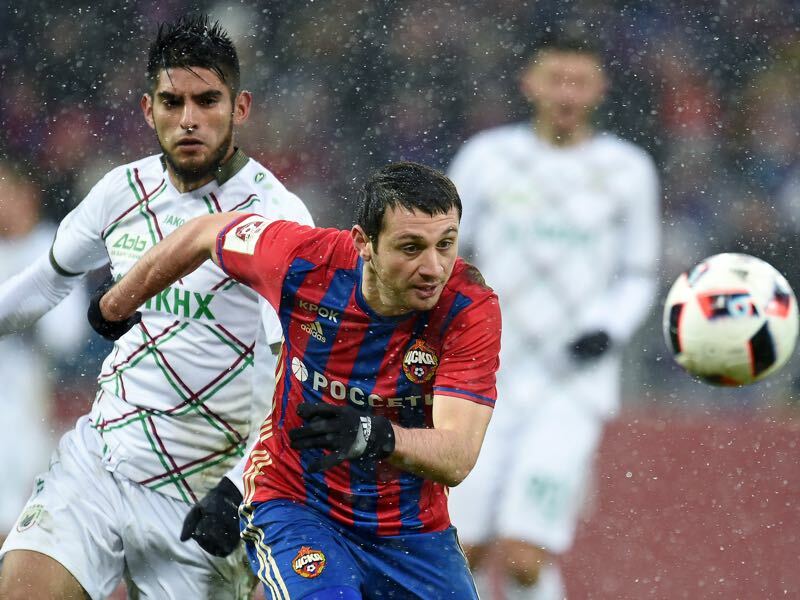 In his likely absence midfielders Alan Dzagoev and wing-back Mario Fernandes will be CSKA’s key players. The treble retirement of centre-backs Sergei Ignashevich and the Berezutskii twins, in the meantime, will leave a big hole in CSKA’s leadership structure. CSKA Moscow have already reacted to the retirement of the three centre-backs by signing Iceland’s World Cup star Hördur Magnússon from Bristol City and 22-year-old Brazilian Rodrigo Becão from Bahia. A potential Golovin transfer will add further funds to strengthen all areas of the squad. This will be a tough season for CSKA, who will have to replace several key players. As a result, the Red Army club will finish outside the top three. Lokomotiv Moscow ended last season by winning the club’s first national championship in 14-years. Lokomotiv were not even considered an outsider for the Russian title going into the season last year. But head coach Yuri Semin put together a hard-working squad that unlike most of the other title contenders showed consistency and in the end won the title two points ahead of CSKA Moscow. Led by the young Miranchuk twins, Anton and Aleksei, as well as veterans such as Jefferson Farfan and Manuel Fernandes Loko were fantastic to watch at times and ended up being deserved champion. The 71-year-old Yuri Semin deserves most of the credit for Lokomotiv’s first national championship in 14-years. The head coach did not always have an easy relationship with the management of the club and clashed on several occasions with President Ilya Gerkus. But friction creates fire and while the two do not always see eye-to-eye, there is a sense of respect and understanding. Now with the title won there is no doubt that Semin will have the freedom of working at the club as he wishes as Gerkus has finally seen that the coach is Lokomotiv’s greatest asset. As mentioned earlier in the article the club’s key players are the Miranchuk twins, Jefferson Farfan and Manuel Fernandes. Midfielders Igor Denisov and new signing Grzegorz Krychowiak will also play big roles for the club this season. The arrival of Grzegorz Krychowiak, on loan from Paris Saint-Germain, is a major coup for the Railwaymen. The 28-year-old Polish national team player is looking back at two seasons to forget. Joining Unai Emery at PSG in 2016 Krychowiak never managed to break into the first team and his loan spell at West Bromwich Albion ended in relegation. Before that, however, Krychowiak managed to win two Europa League trophies with Sevilla and was one of the most sought after defensive-midfielders in the European game. The 28-year-old now hopes to rebuild that reputation while playing for Loko this season. Champions League football could make it difficult for Lokomotiv to defend their title. But Semin is a genius and if anyone could make it happen it would be him.